Himesh Reshammiya in remake of film "Karz"
Himesh Reshammiya will play the role of Rishi Kapoor in the remake of the 1980 hit film “Karz”. 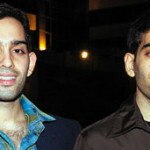 Subhash Ghai stated that T-Series had bought the remake rights of the 1980 hit Karz from Mukta Arts, adding that he has refused an offer to direct the film. “How can I remake my own script when I am full of new ideas today? I am sure Karz will be welcomed by a new generation with a new kind of making. I wish Himesh Reshammiya (who will play Rishi Kapoor’s character) and Bhushan Kumar (of T-Series) the best,” says Ghai. Bhushan Kumar of T-Series says that he has decided to produce a film for Himesh after Aap Kaa Surroor set the cash registers ringing. The shooting for the film will begin in November. I don’t believe this………what’s wrong with our Bollywood, why can’t they come up with their own original ideas. Why they have to make a remake of super-duper hit film. And what upset me most is that I loved every single bit of original film “Karz”. I loved my darling cute Rishi Kapoor in it, I loved all the lovely songs in it, I loved the whole bloody film and I don’t want to see the remake of it. 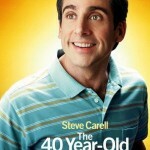 I want to live with the original film and original lovely songs. I bet, this remake of Karz will be a huge disaster and then nobody will ever try to touch the original makes. I can’t stand Himesh, so how can I see him playing the role of my favourite romantic hero Rishi Kapoor. Himesh is nowhere near Rishi Kapoor, how can they even think of putting him in Rishi’s shoe. 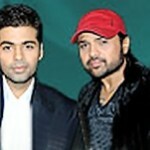 I hated Himesh in his Aap Ka Surrooor. I wish this remake goes super flop. I am sooooo angry. 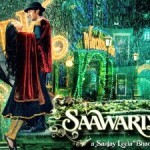 But same time, I am very happy with Subhash Ghai who has turn down the offer to direct the remake of the film. Karz (starring Rishi Kapoor, Tina Munim, Simi Garewal and Pran) was about reincarnation of a betrayed lover who returns to avenge his death, masterminded by his unfaithful wife. It had some chartbusting music, which included tracks like Om Shanti Om, Ek Haseena Thi and others. By the way, Karz is a remake of the 1975 English film, “The Reincarnation of Peter Proud“. Luv and Kush Sinha wants to be an "Actor"